Sales hiring is hard, but you know what’s even harder? Onboarding those new sales hires. According to a 2015 study by Bridge Group, it takes 5.3 months for the average sales hire to reach full productivity. 5.3 months. That’s nearly half a year of glorified training, where your business is actually losing money on your not-so-new hires. But what if it didn’t have to be that way? What if you could have your new hires on the phone and selling within a day? Okay, so maybe they won’t be selling well … But they will be selling. And if they’re selling from day one, you can bet it isn’t going to take 5.3 months for them to reach full productivity and profitability. Here’s a three-stage schedule to get your reps trained, confident, and selling in their first eight hours on the job. Greet your new hires with a hot cup of coffee; they’re gonna need it, because the first part of their day is dedicated to study. This new hire’s guide should be short, valuable, and to-the-point. Make sure someone is present during the process for any questions or comments. They won’t have enough time to memorize the manual, but that’s okay. They can do that on their own time. The goal is to get them comfortable with the information, not 100% fluent in it. Once they feel relatively confident in your sales documentation, turn that knowledge into action through role playing exercises. Then switch roles. Have them play the role of a stubborn prospect to develop a deeper understanding of the product and empathy for the person on the other end of the line. Spend the last part of the morning with your new hires shadowing you. Let them watch you make cold calls, send cold emails, and hold product demos. Then ask them questions about each activity to measure their critical thinking and analytical skills. It’s time to get your new hires on the phone. Don’t think they’re ready? You’re right. That’s why you’re going to assign them low-quality leads; the kind of accounts you can afford to lose. Give them their sales documentation and silently oversee their calls. Inevitably, prospects are going to ask questions your new salespeople don’t have the answer to. When that happens, they’ve got two options: Own their inexperience, or BS an answer. Here’s how that might look in practice. By responding like this, your rep creates trust through authenticity and learns more about their prospects priorities. They can use this information to find a high-quality answer and customize their pitch to their prospect’s needs. What are you going to do differently next time? Do you think they’re going to buy? Once they’ve evaluated their own performance, offer your feedback. But remember that you aren’t there to criticize them. When they fail—and they will fail—show them that rejection is a natural part of the sales process. This will keep them eager to take chances, make mistakes, and expedite their learning process. How do you feel your first day went? What’s the most valuable lesson you learned? Make it clear that it’s okay to admit failure and ask “stupid” questions, and that everyone is there to support each other. Once your new hires have said everything they have the say, open the floor to your more experienced reps. Let them offer encouragement, advice, and critiques. Close the meeting by offering your feedback, then highlighting some of the victories you saw throughout the day. Everyone should leave feeling inspired and excited, if a little drained. It doesn’t matter whether your new hire has never made a cold call in their life or if they’ve been in sales for the last decade; selling for a new company is always intimidating. Do you want sales reps who are comfortable, or profitable? Yeah, I thought so. Now get out there and help your new sales reps crush it. 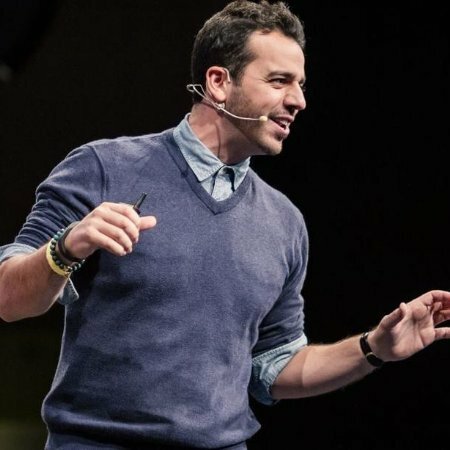 Steli Efti is the co-founder & CEO of Close.io, an inside sales CRM that allows users to make & receive calls with one click, automatically tracks all your emails, and minimizes manual data-entry. Want more by Steli? Sign up for his free startup sales success course.